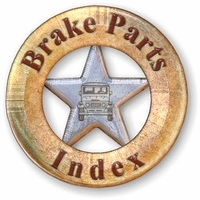 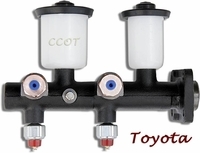 CCOT has a good quality line of Aftermarket Brake Cylinders for FJ40/45 & FJ55s. 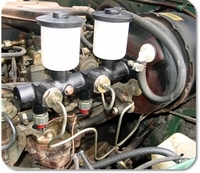 Master Cylinders come complete with brake fluid reservoirs and caps (per photo). 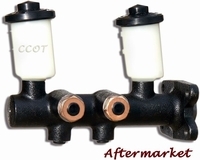 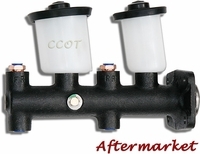 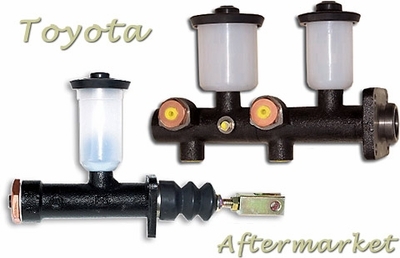 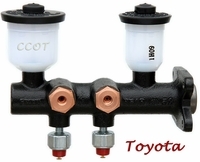 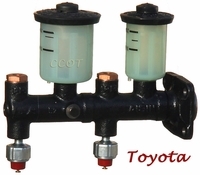 There is no longer a need to rebuild old Master Cylinders (kits don't last anyway) when you can purchase "reliable" new parts at such a great CCOT price. 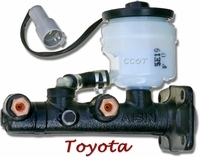 Requires slight forming of brake line to attach to M/C side body. 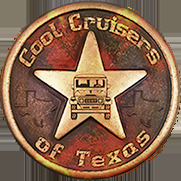 See Pic Below.